Moving is complicated, so to help you stay organized, here are the top 10 questions that people ask when they're planning a move. Getting the answers to the most frequently asked questions will guide you through your move and help keep things on track. This is a question that plagues all people on the move. And like most decisions, the answer is different for everyone, depending on factors such as time, money, difficulty and complexity of the move. If you're moving across town, a self-move may make more sense than if you're moving across the country. Still, to ensure you're making the best decision, it's a good idea to weigh all the options. How Do You Hire Dependable, Reliable Movers? Hiring movers is probably the single biggest decision you'll make once you decide that you're moving. It's also one of the most expensive parts of moving. So make sure you hire good movers so your stuff arrives on time and budget. Should You Tip the Movers and if so, How Much? One of the most frequently asked questions about moving is whether you should tip the movers and if you should, how much. Find out when a mover should be tipped and what the average amount should be. If You're Moving Yourself, How do You Rent a Moving Truck? Before you plan your move, you need to decide how you're going to move: Hire a moving company or rent a moving truck and load it yourself. To save money and if you're not moving too far, you might consider renting a truck and getting friends and family to help pack it. But before you do, check out this guide to truck rentals to find out what you need to know before you sign the rental agreement. What's the Best Way to Help My Family Move? With the overwhelming demands of moving, we often neglect the all-important step: getting your family involved from the beginning planning stage. Helping your family move includes finding good schools in advance, researching the new city you are moving to and talking to your children about the move. Remember that the psychological and emotional aspects of a move can be as important, especially to younger children, as the physical move itself. How Do You Get Rid of Stuff You Don't Want to Move? OK, so you no longer like that vinyl red couch that your parents gave you when left home for the first time, but don't know what to do with it? Well, one person's junk is another person's treasure and at no other time in history does that statement ring more true than now, in an age of e-Bay and Craigslist and Kijiji. To help you through the maze of how to get rid of stuff you no longer want, we've put together this list of the top four ways to get rid of stuff -- a good thing to do before you move. How Do You Stay Organized and Pack Up Everything in Your House? Packing is probably the most important step in the whole moving process. We often get caught up in the big concerns like hiring movers and neglect the basics. If you pack well, not only will the move go a lot more smoothly, but your possessions will stand a better chance of arriving safe and sound. Check out this exhaustive list of how to pack up your entire home, including what supplies you'll need along with detailed guides to packing room by room. What Should You Expect to Happen on Moving Day? Moving day is always chaotic no matter how well organized you are or how many people are helping out. It's the only day when you'll be both moving out and moving in, all within the same 24-hour period. It's stressful. It's complex. But to help ease the stress, know what you need to do so you'll know exactly what to expect when moving day arrives. How Do You Settle You and Your Family into a New House? Moving in and settling into your new home can be the most exciting part of the move. As worn out as you may feel after the move itself, you'll find yourself geared up to really settle in and enjoy the new house and the neighborhood. Here is a list of moving-in tips that will help you with settling in. How Can You Save Money on Your Move? Saving money is critical, especially if you're moving. 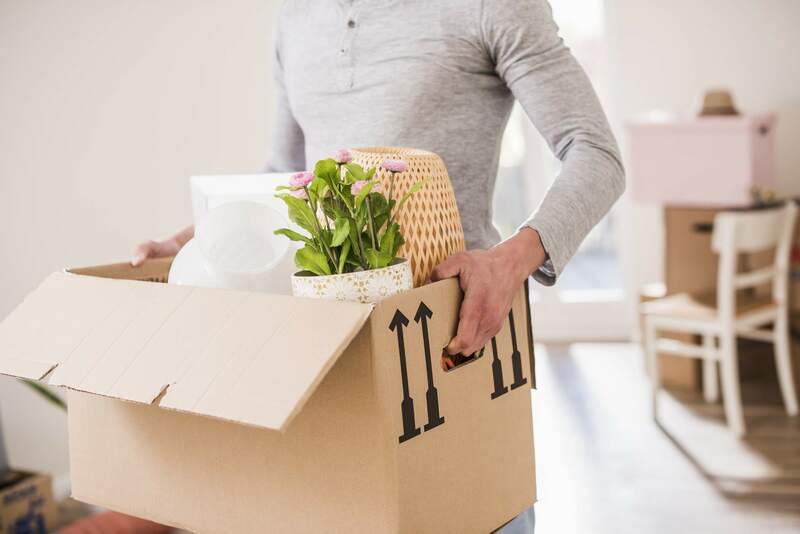 With rising gas prices, moving is a lot more expensive than ever before, especially for those of you moving to another city or state or country. To try to cut back on some moving costs, costs that we can actually control, check out this list of tips and suggestions.